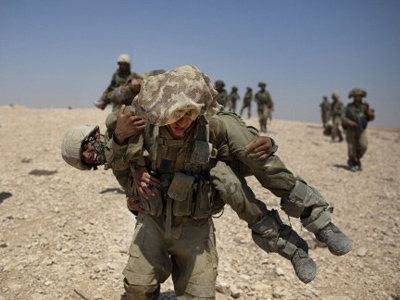 Seventeen Golani Brigade soldiers abandoned their post near the Syrian border Wednesday night over allegedly humiliating treatment by senior officers. The deserters have each been sentenced to 7 to 20 days of imprisonment. The 17 servicemembers of the IDF's 12th Battalion of the Golani Brigade claimed that poor treatment by their commanders was the reason they staged an hour-and-a-half walkout of their a bunker on Mount Hermon on Wednesday night, Israeli media reported. The soldiers were protesting their commanding officers' refusal to dispatch new recruits to the base. They claimed they were forced to carry out tasks that are often considered beneath experienced soldiers, including guard duty and cleaning. "We work around the clock in one of the harshest areas. It's unfair that we should be eroded like this," Israeli news website Ynet quoted one of the soldiers as saying. Colonel Yaniv Asor, the commander of the Golani Brigade, convinced the soldiers to return to base a short while later. 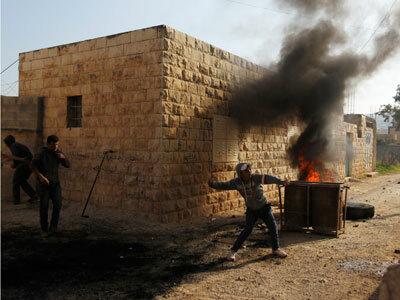 The soldiers regretted their actions and expressed remorse, the IDF press office said in a statement. The IDF also claimed that all operational and administrative tasks at the base are distributed equally among soldiers. The Golani Brigade, also known as the 1st Brigade, is currently deployed at the top of Mount Hermon. The region is believed to be the buffer zone between Syria and Israeli-occupied territory, and also contains the highest elevations in Israeli-occupied territory – one peak in the area stands at 2,236 meters high. The military unit was formed in 1948 during the Israeli War of Independence, and has since participated in all of Israel's major wars and many key operations, including the Sinai War, the Six-Day War, the first and second wars in Lebanon, and various operations during the Israeli-Palestinian conflict. Over the last decade, several incidents have been reported of IDF soldiers abandoning their posts to protest mistreatment. Some 50 soldiers walked out of the Tze'elim training facility in January 2003, claiming they did not receive their due rights. In April 2006, six soldiers abandoned their post in northern Israel in protest against being denied veterans' benefits. Fifteen servicemembers abandoned their guard duty at an outpost in the Gaza Strip in July 2007 over complaints of poor service conditions. And in May 2012, five soldiers from an anti-aircraft unit left their post at a remote guard tower over allegedly harsh punishments for an earlier misdemeanor. 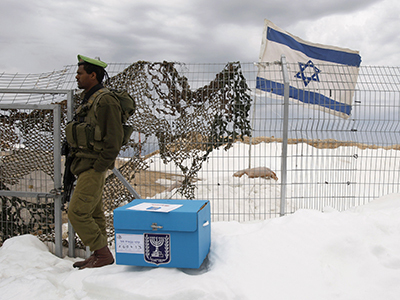 Israel: To serve or not to serve?